It's a kitchen party, b'ys. 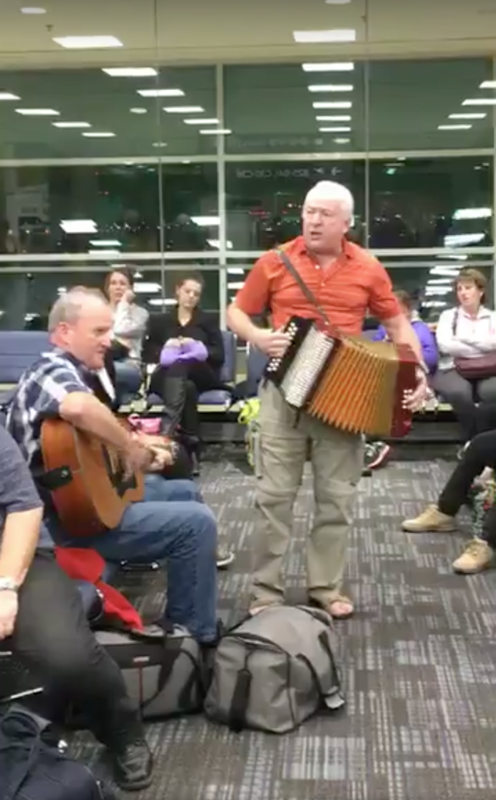 A bunch of Newfoundlanders waiting for a plane home burst into an hour-long singalong at Pearson International Airport in Toronto. 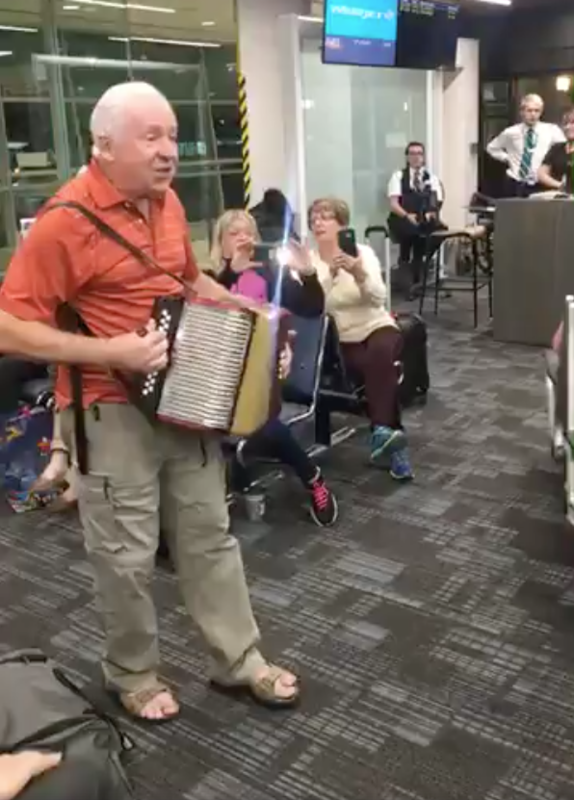 Michelle Sacrey Philpott and her husband, who were travelling back to St. John's after a vacation in Mexico, arrived at their gate to find everyone singing, clapping, and dancing along as two musicians played some Newfoundland favourites. Philpott livestreamed the impromptu performance on her Facebook page, where her videos have been watched hundreds of thousands of times. "As Newfoundlanders that’s just what we love to do. Music is such a big part of our heritage and our culture," Philpott told BuzzFeed Canada. At one point, WestJet employees told passengers that the flight would be delayed by about 20 minutes. But instead of groans, the passengers responded with cheers. Philpott said the two musicians, Sean Sullivan and Sheldon Thornhill, took out their instruments again and the party started over. “If that flight was delayed three or four hours, that party would have continued on." Philpott said she's gotten a flood of messages from people who wanted to thank her for sharing a bit of Newfoundland with the rest of the world. “I have received so many emails with the same message: 'Thank you, thank you so much for sharing these videos, it means so much. It brought tears to my eyes. It makes me homesick,'" she said. "Some people are saying 'I haven't been home in 20 years, 30 years, but a piece of the Rock will always be in my heart.' And these videos just touched them." Liza Hicks is a video producer for BuzzFeed News and is based in Toronto.